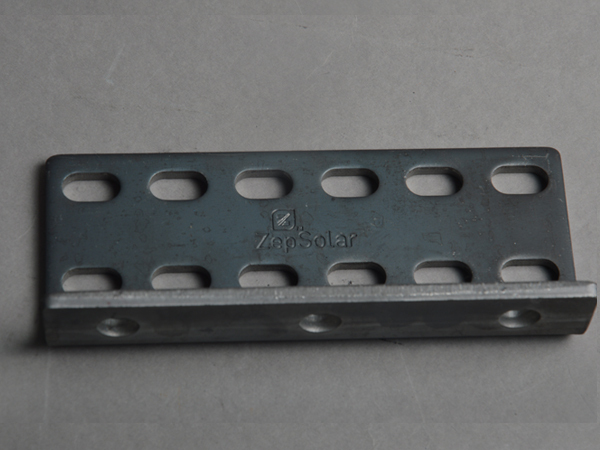 Using our advanced metal stamping technology, Hifly Mould manufactures 600,000 of the following PV mounting system base plate annually for the solar industry in USA. 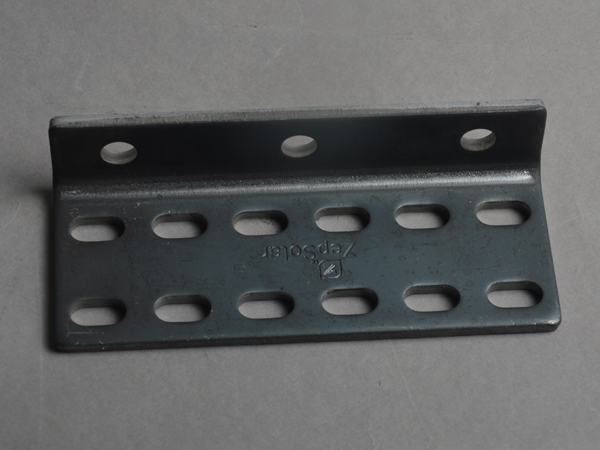 This base plate is constructed from 5.8 mm thick Q345 B steel with hot galvanizing coatings. 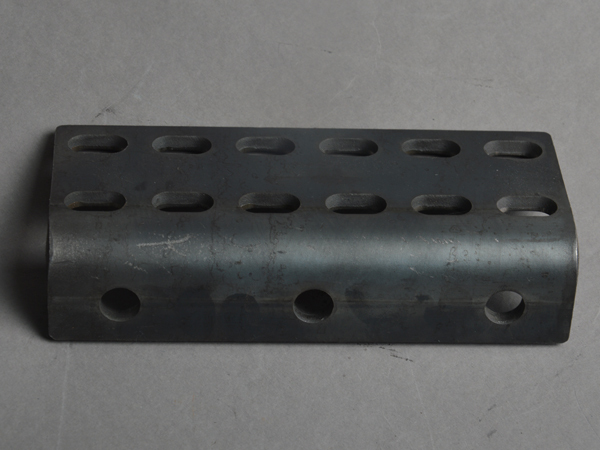 Customer finishing specifications require the parts to be shot blasted to increase roughness. After shot blasting, the parts have to be hot galvanized according to ASTM A123, with coating thickness not less than 85 um. In addition, in order to meet environmental protection requirements of ROHS, liquid containing hexavalent chromium cannot be used in hardening and passivating process. 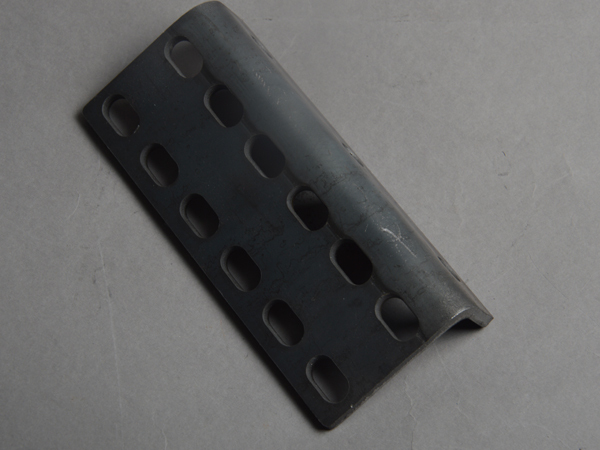 Apart from finishing requirements, the mark on the part should have a minimum thickness not less than 0.5 mm, and be visible after hot galvanization. Bur height cannot be higher than 0.3 mm, and bend radius is 1-3 times of material thickness. Parts produced are packed by hand into custom packaging established through R&D at the onset of the project to ensure that parts are not damaged in transit. They are transported to Ningbo Port of China according to schedule set by the customer.